Initiating change in a church is both one of the most important and most difficult tasks facing any leaders. This book is a practical tool to help those grappling with this challenge to undertake it well. Based on many years of experience in church and change leadership the book offers wisdom, insights and approaches that can help leaders to achieve new outcomes with people successfully. Handling change well often comes down to handling people well. It is the human aspects of change, more than the technical issues, that tend to undermine success. This makes change difficult for any leader but it is even more keenly felt in churches or indeed other community organisations. These groups are made up of volunteers who despite their commitment can easily withdraw from the community (physically or emotionally) if they find themselves alienated by a change. 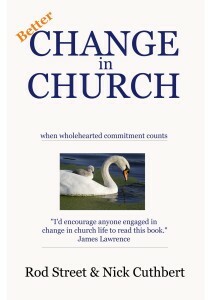 The result is that initiating or leading change in church proves to be very tough indeed. It is not just individual sensitivities and the natural resistance that change produces that makes it difficult. With many changes, the goals of the change simply cannot be realised unless people commit themselves. Effective change often needs a real emotional commitment. This book is a practitioners’ guide for those seeking to lead wholehearted change more effectively. 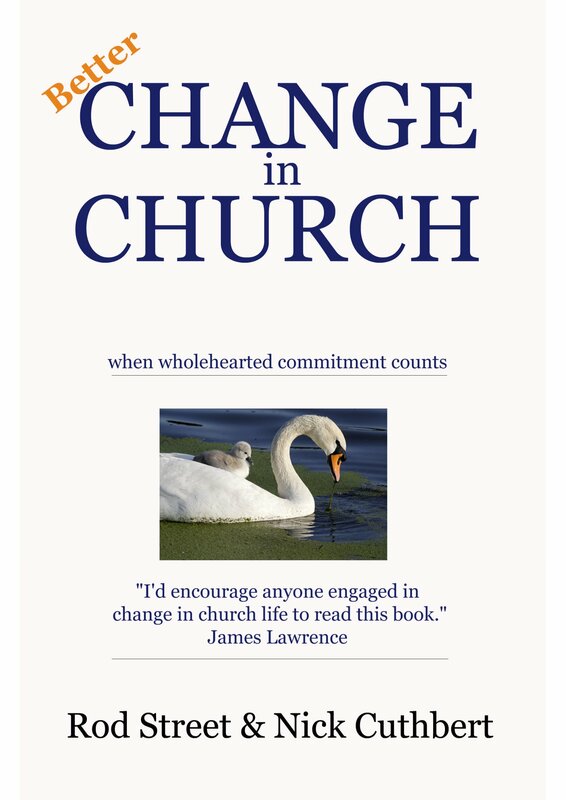 Built upon many years experience in and outside church, it helps to explain the underlying nature of the challenges that those seeking change face and then provides insights, approaches and advice on how best to go about changes, whether they are new service formats, a new strategy or changes to roles and responsibilities. Rod Street is a management consultant who coaches individuals and teams through strategic changes. He was previously a partner with PwC and teaches the CPAS Arrow Leadership Programme module on handling change well. He has been involved in church life for forty years. He is married to Carol and they have one son. Nick Cuthbert with his wife Lois, is the founder of Riverside Church in Birmingham. He is an author, teacher and evangelist, lay canon and a leader of Lead Academy. He has two children and four grandchildren.